AT&T has launched AT&T Call Protect service to block fraud and spam calls. AT&T Call Protect service will block spam calls at the network level for users with the HD Voice service However, phone companies have had such services for years, but those usually adhere to a national Do Not Call register, whereas AT&T’s take on it uses known numbers flagged for fraudulent and spam-like activities. Automatic fraud blocking which helps reduce the chances that a customer will become the victim of a phone fraud or scam by stopping these types of calls in the network before they even reach the phone. Suspected spam warnings on the incoming call screen which let customers choose whether or not to answer calls that originate from a suspected spam source. (Must be in HD Voice coverage area). Meanwhile, users can whitelist specific numbers with a separate Call Protect app. Currently, The app is available on postpaid iOS and Android devices, and can be activated through the MyAT&T system. The app is missing for Windows phones. 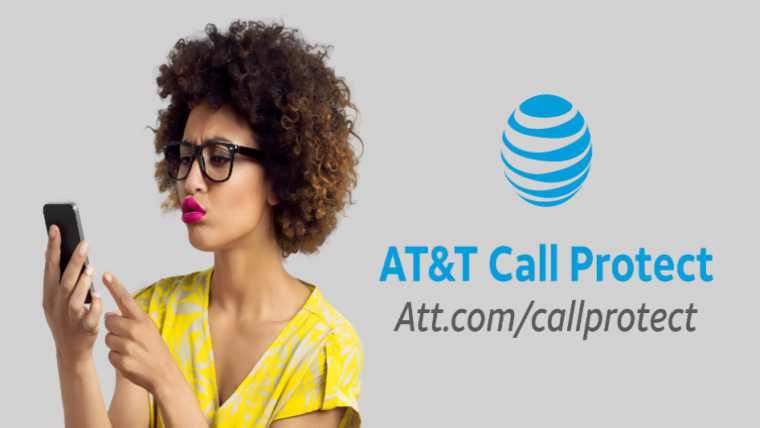 To learn more, visit att.com/callprotect. To report unwanted calls and text messages, visit att.com/fraud.